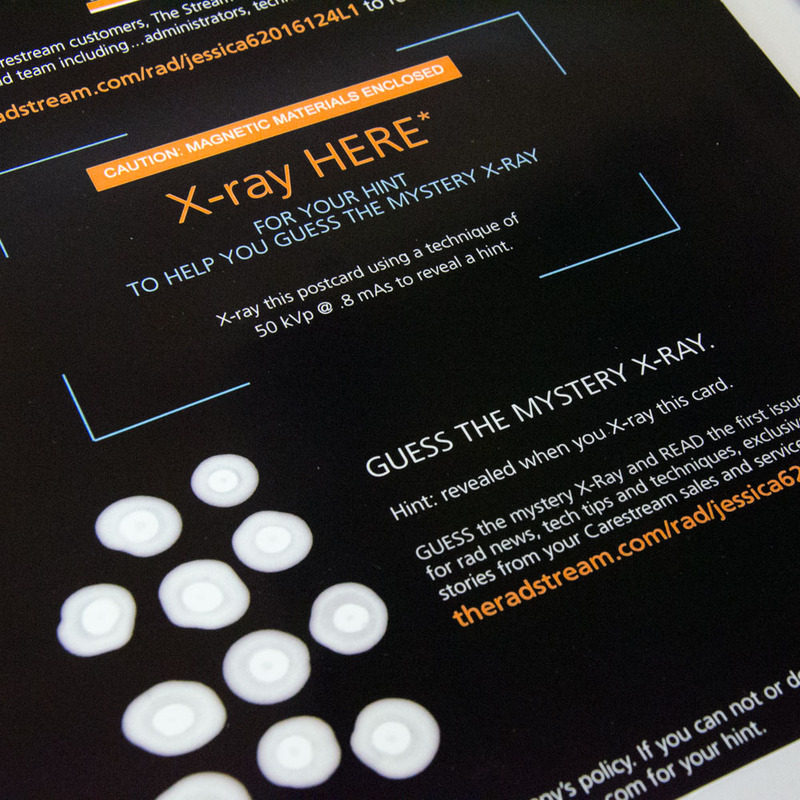 In the Spring of 2014, Carestream sought to develop a more formal marketing program for its computed and digital radiography customers—a new loyalty program. Up to that point, the customer upsell/cross-sell initiatives had been adhoc throughout the year. The new vision was a sustained effort that would create a community feel within the customer base. 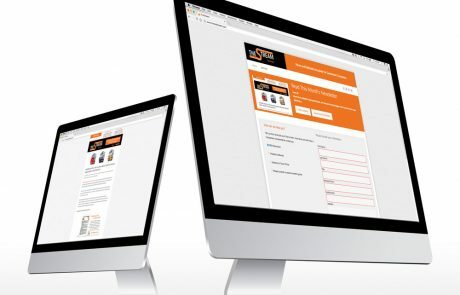 A stream of communications (roughly once monthly) would be sent to customers, featuring valuable original content including articles relating to the industry, tips on using Carestream equipment to its full potential, helpful and timely industry URL links and most importantly, deals! 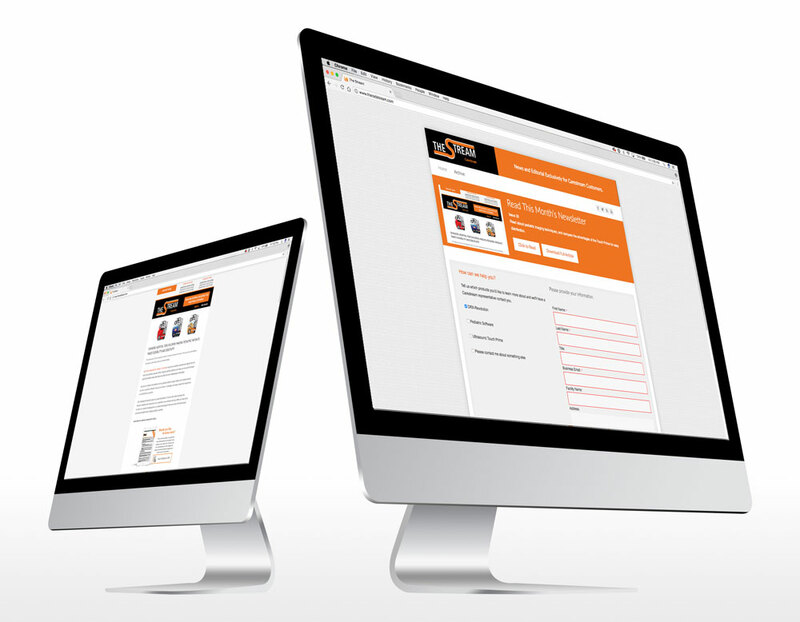 It would combine direct mail, email, (with landing page—www.theradstream.com), and telemarketing for a well-rounded, multi-channel program. 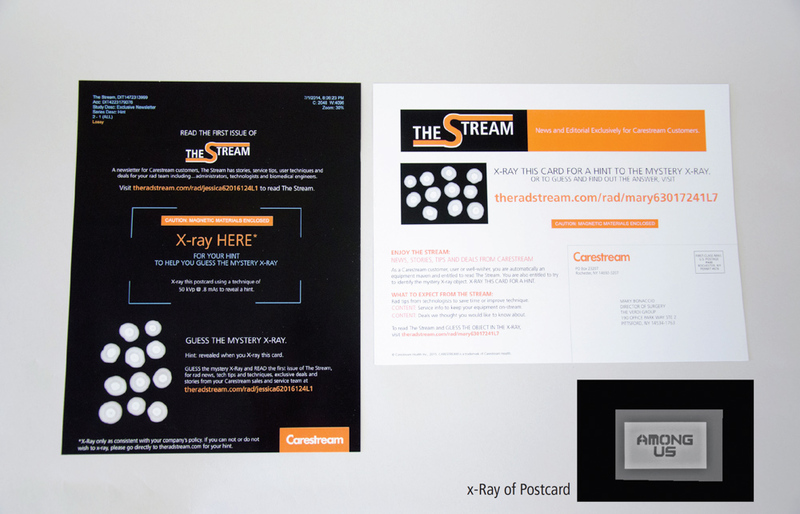 The kick-off piece inviting customers to The Stream. It was an 8 ½ x 11 inch double-sided postcard introducing The Stream, but it was unlike any other postcard! 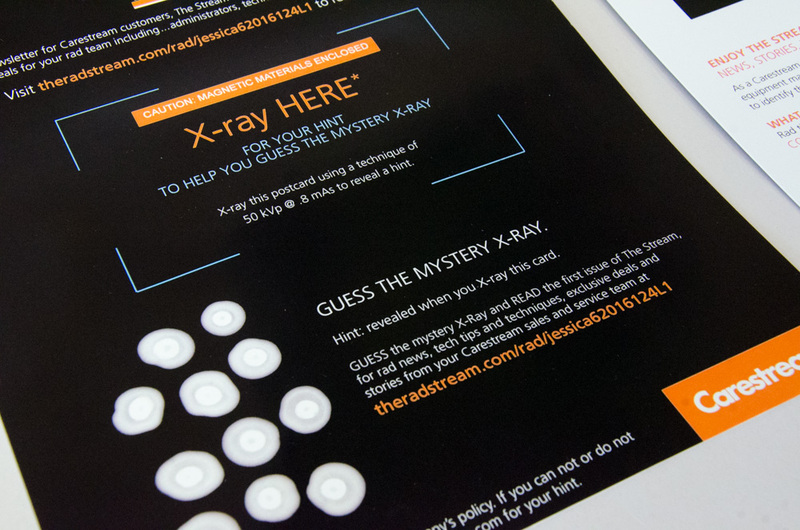 It directed recipients to “X-ray HERE for your hint to help you guess the mystery X-ray.” The postcard featured a “Guess the mystery X-ray” question with a picture of an unidentified image that the recipients could actually X-ray to reveal a clue! 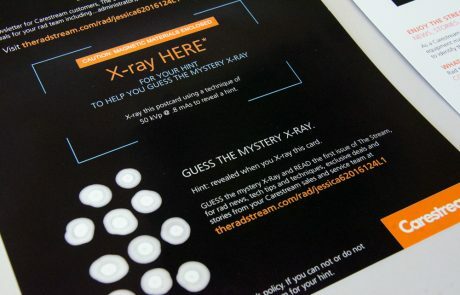 A die-cut magnetic strip had been built into the center of the postcard to allow for this incredible engagement tool. Telemarketing followed these two touches to gauge interest in the deals offered as well as receive any comments or questions on the program. 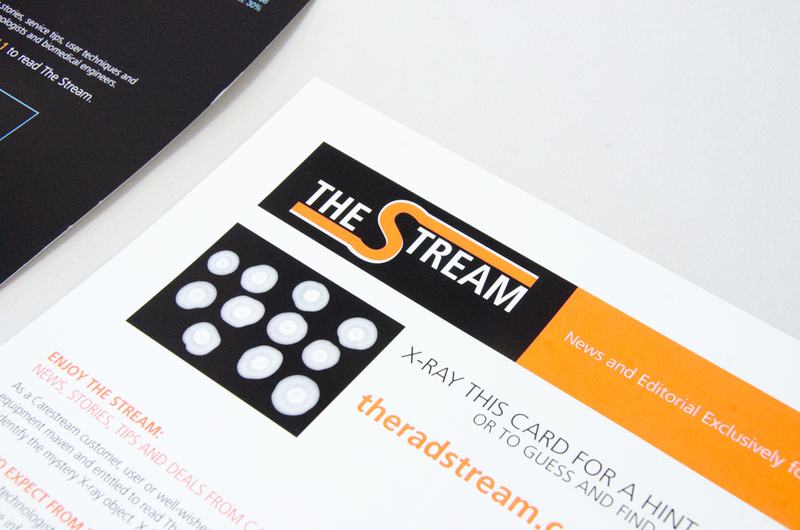 Since its inception, four issues of The Stream have been published (promoted by email). These included articles ranging from interviews with industry professionals to radiology department process improvements and preventive maintenance best practices. The deals have given customers preferred treatment with special savings on trade-ins, refurbishments, etc.